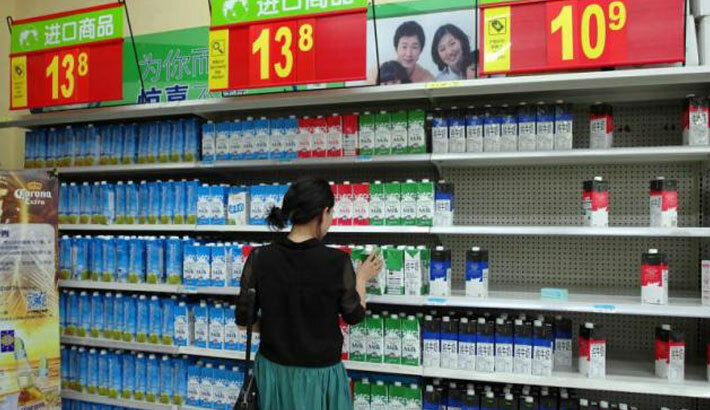 China’s consumer prices cool slightly in July, while producer prices contracted. Year-on-year, consumer prices which measures inflation rose 1.8 percent in July, slightly down from 1.9 percent recorded in June, the National Bureau of Statistics reported on Tuesday. Exactly, what economists surveyed prior to the release predicted. On a Monthly basis, consumer prices returned to growth with a rise of 0.2 percent. Inflation for food, tobacco and liquor dropped 1 percent to 2.8 percent on a yearly basis. But a 16.1 percent surge in pork prices over the same period pushed up the headline figure by 0.42 percent. Consumer inflation remains well below China’s target of 3 percent in 2016, despite concerns that several flooding that disrupted agricultural production and public infrastructure would increase inflationary pressures. While July trade data published on Monday indicated weaker than expected domestic demand from industrial sectors — with exports falling along slump in global demand. Be the first to comment on "China’s Consumer Prices Cool Slightly in July"